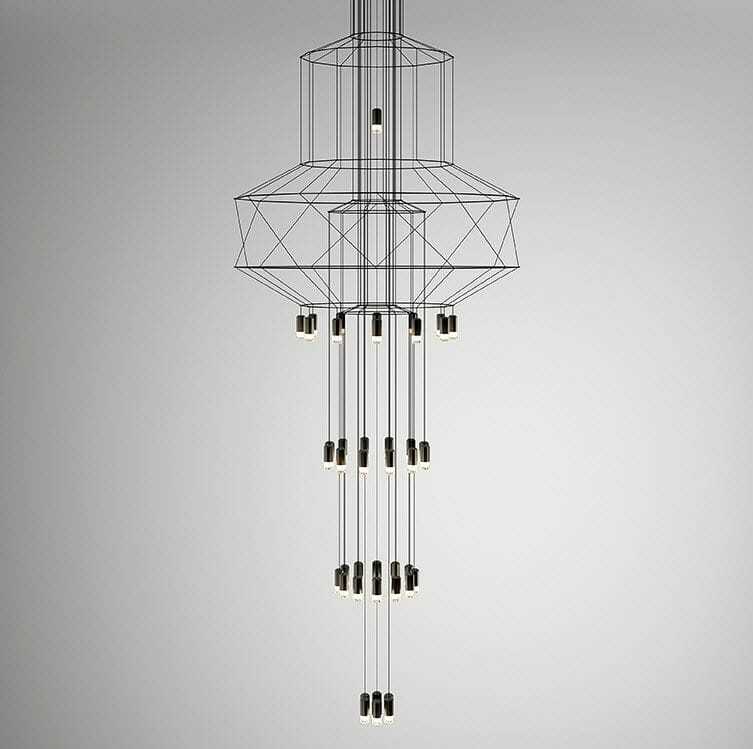 The Wireflow Chandelier lamps. 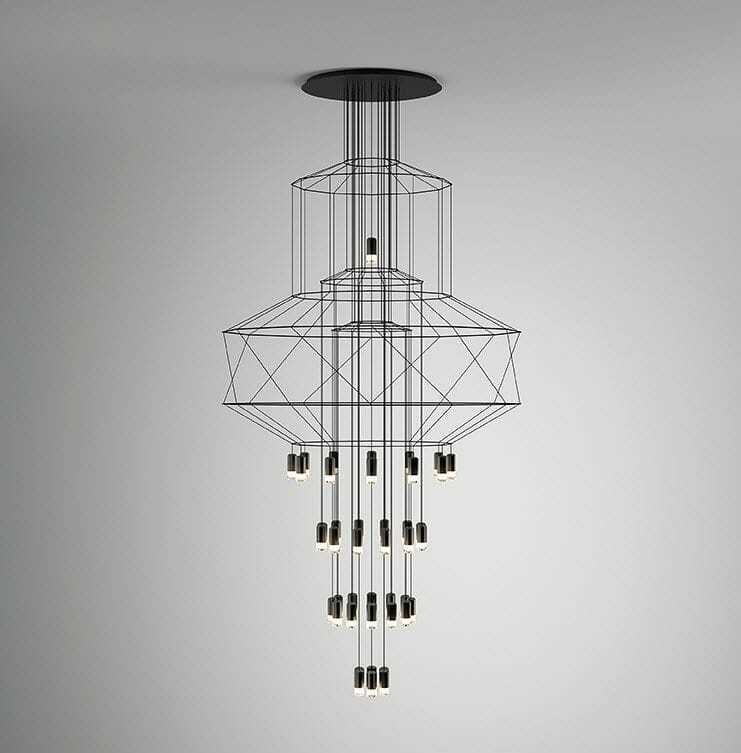 The designer Arik Levy has created a collection of hanging lamps with a three dimensional form, the Wireflow Chandelier light fittings reinterprets and updates the traditional suspended lighting fixture through an exercise of simplification, bestowing a delicate and marked conceptual character to an ethereal lighting fixture. 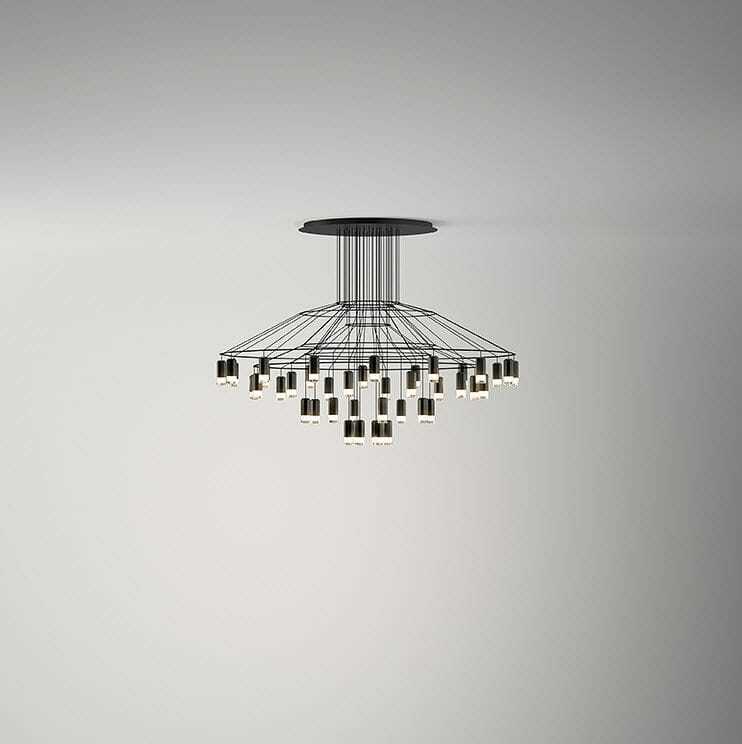 The Wireflow Chandelier lamps are constructed from black electrical cable and a series of 4.5 Watt LED terminals. 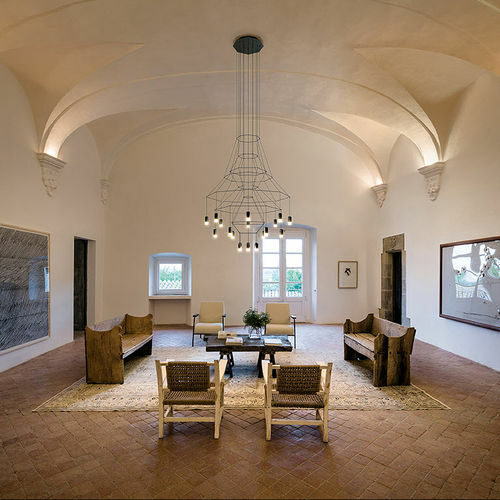 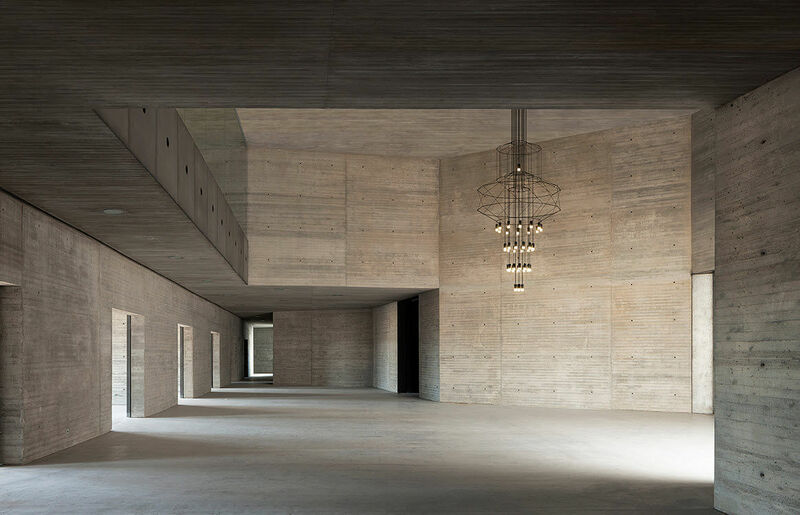 Vibia offer us a collection of Wireflow Chandeliers that includes models composed of 15, 42 and 43 diffusers.